This year we will be playing the Nine Wicket Championships at the Mid-America Sports Complex 20000 Johnson Dr, Shawnee, KS. There will be championship singles and doubles; and cutthroat singles competition. Championship Singles (1 vs 1, each person plays two balls). Open to all skill levels, but be prepared to play against high level players. 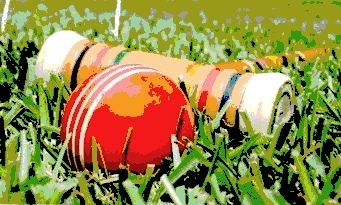 Standard USCA Nine Wicket rules with options 1, 1A, 2, 3, 7, 9 & 10. Championship Doubles (2 vs 2, each person plays one ball). Open to all skill levels, but be prepared to play against high level teams. Standard USCA Nine Wicket rules with options 1, 1A, 2, 3, 7, 9 & 10. Cutthroat Singles (6 players per game, each play one ball). Recommended for those with USCA handicap 9 or higher or no handicap. USCA Nine Wicket rules with options 1, 2, 3, 9, & 10 with carry-over deadness. Play is limited to 30 in singles, 21 doubles teams and 24 cutthroat players. We expect a full tournament this year. Please don’t wait to the last minute to enter if you want to play.